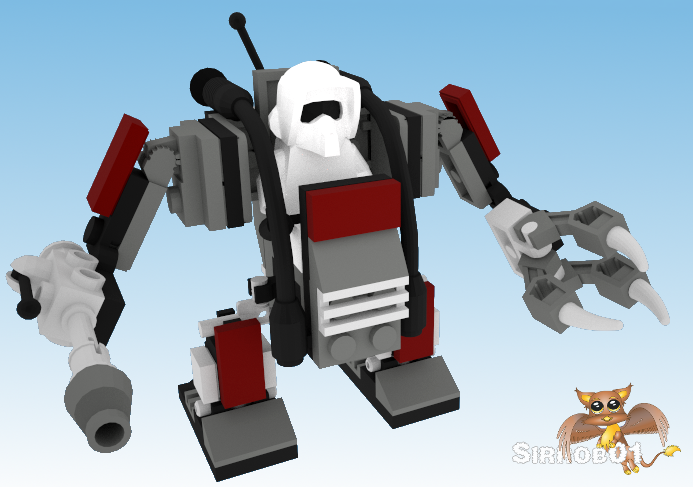 Been a while since I pulled together a Lego MOC. 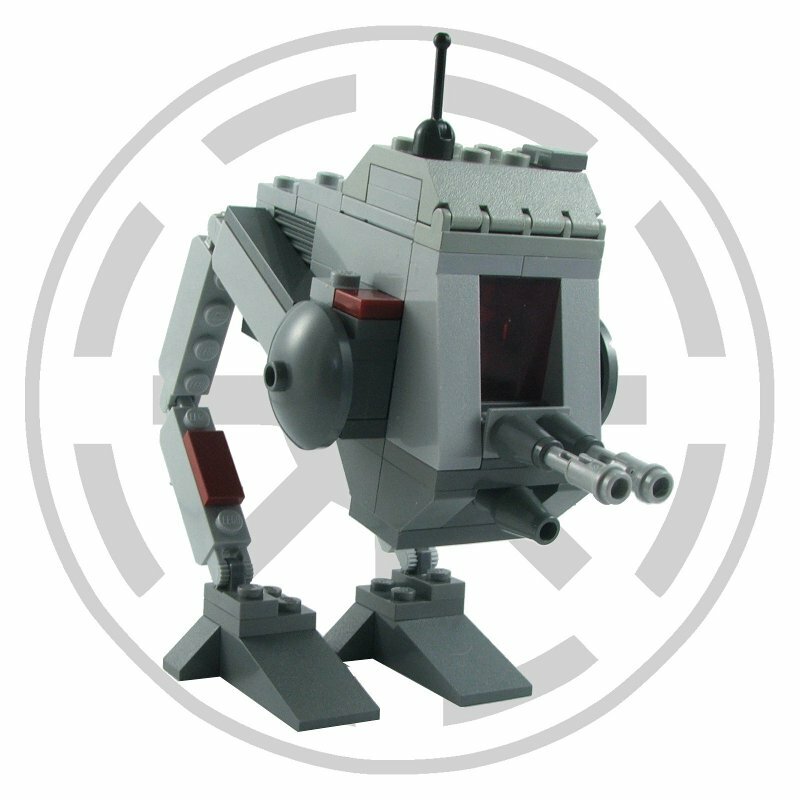 I decided to build a small Clone walker, however it’s not in the traditional Star Wars walker theme but more of a battlesuit or small mecha. 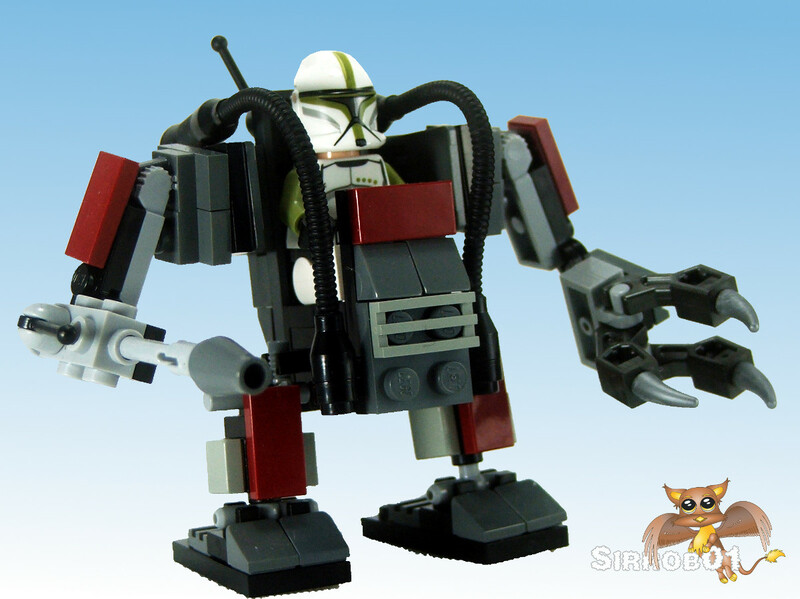 I see it as having started as a simple power loader with a couple of large overpowered hands. 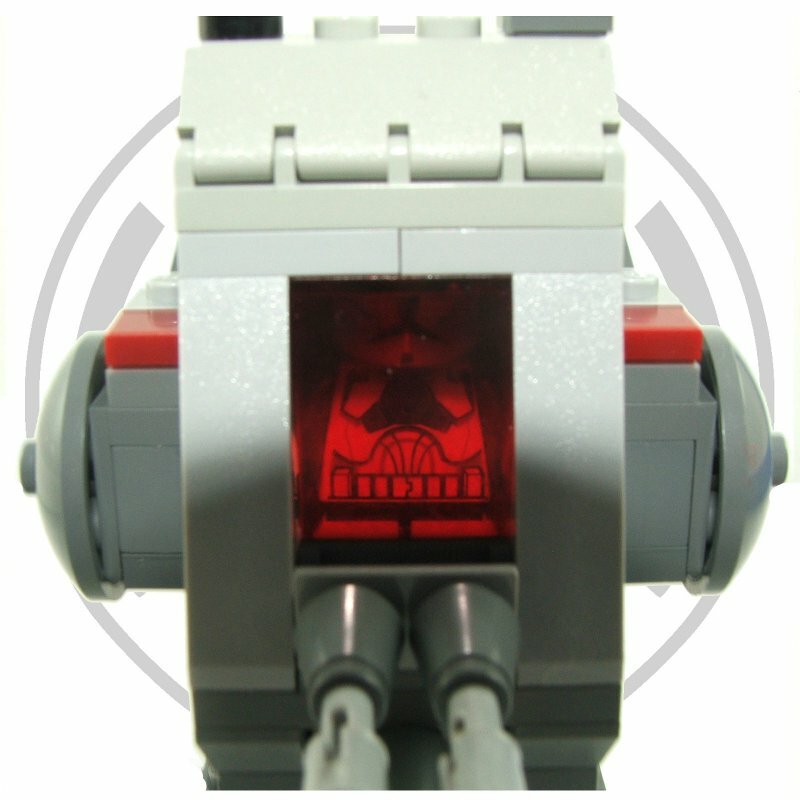 Then in frustration a clone commander having been pinned down by Droidekas, quickly bolted a combination anti-vehicle heavy blaster and light blaster to the right arm and equipped the hand on the left with a nasty set of claws. 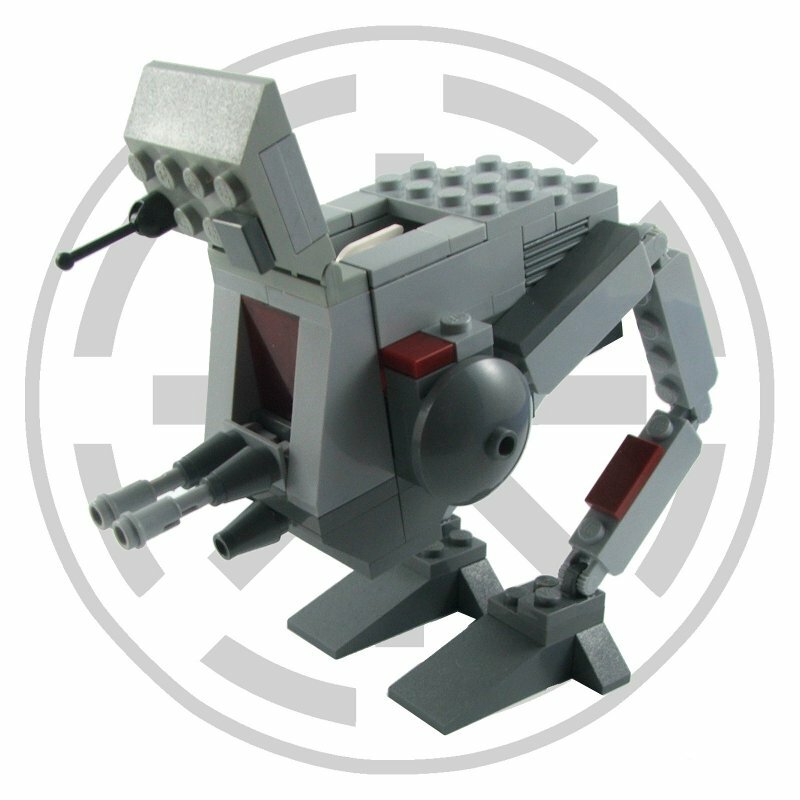 With this heavy armament it can punch through a Droideka’s shield easily while remaining small enough to provide support for a unit of Clone troopers in very close quarters. 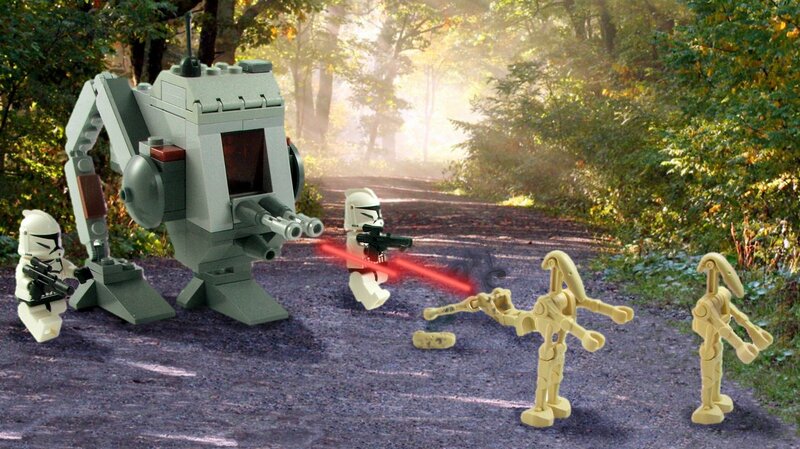 Due to the short legs they are relatively slow but this doesn’t cause major problems as they can easily move twice as fast as a running clone trooper. Most of the bits I used to assemble the Clone Loader I grabbed from my bits box although I didn’t have any bendy tubes and had to buy a few from bricklink to finish the model up. 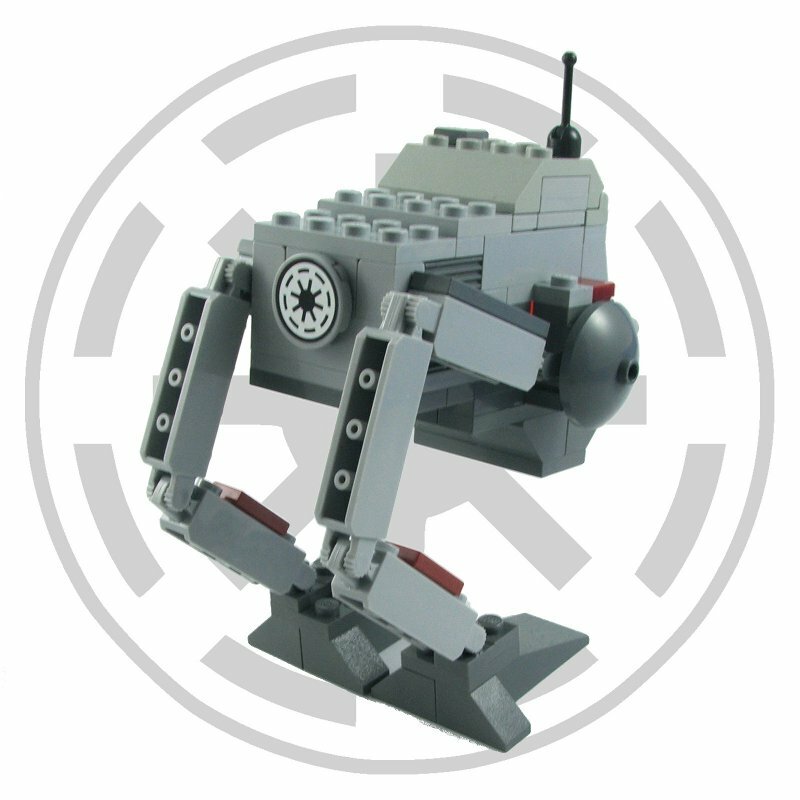 I did borrow the middle of the leg design from other small lego mecha models (the 4 way light holder). Not much revolutionary in the rest, I did stick a little bit of blue tack behind the small turntables just to make them a little stiffer so they don’t turn so easily. I had enough parts to build two Clone Loaders although not all the light greys match. I used Mlcad and Ldview to create the instruction images and laid them out in a word document. I wanted to try producing a render of the model, unfortunately I find Mlcad a little annoying to perfectly align parts (gaps in renders look terrible). However I did find a handy sketchup plugin which let me import the Ldraw parts to Sketchup and I assembled the loader in sketchup and then used the free maxwell render plugin to generate a simple render. I didn’t play around with the settings much in the render tool but I’m fairly happy with how the render turned out for a first try. I was contemplating generating a simple short walking render animation but that’s going to take a little more time, one for a later post (maybe 🙂 ). 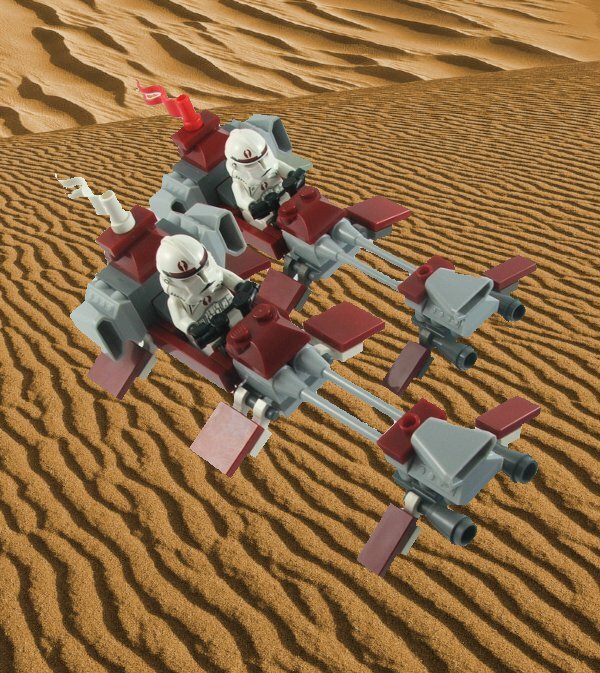 I’ll be adding these as an alternate walker to the AT-PT for my clone army, I’ll probably have a few different load outs. Instructions are below if your curious about any of the construction steps or methods. I used a 2×4 plate on the base of my feet for added stability but this was excessive nothing more annoying than a model that falls over on the table :). Got to get back to cleaning up the house :). Since last year I have been working on a star wars lego clone army for use during wargamming. 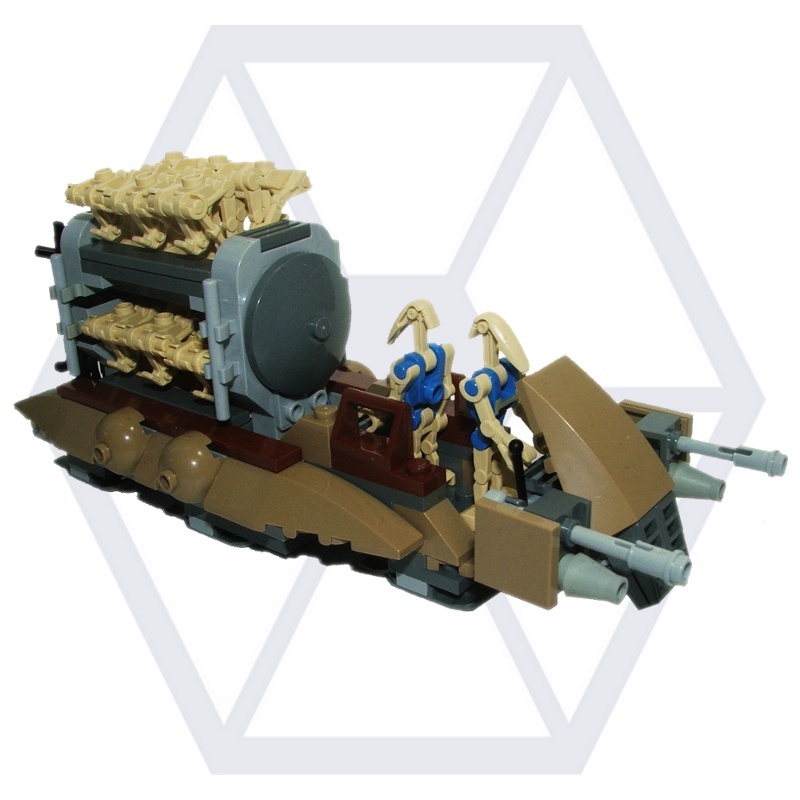 I always planned for this to be a long term project due to the costs involved, basically you don’t save any money by assembling an army in lego but it does let me combine two of the hobbies I enjoy. 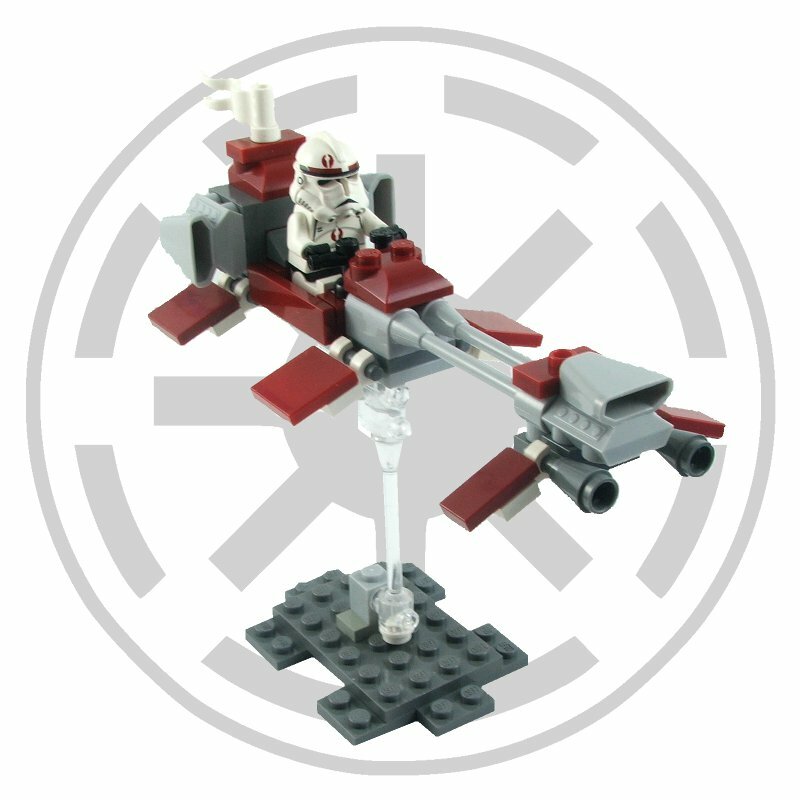 The clone army is now getting close to completion so I’ll start some posts on this little side project, Starting of with the speeder bikes. However I had some ideas on how to combine all the parts from the set plus a few additions into something more interesting. 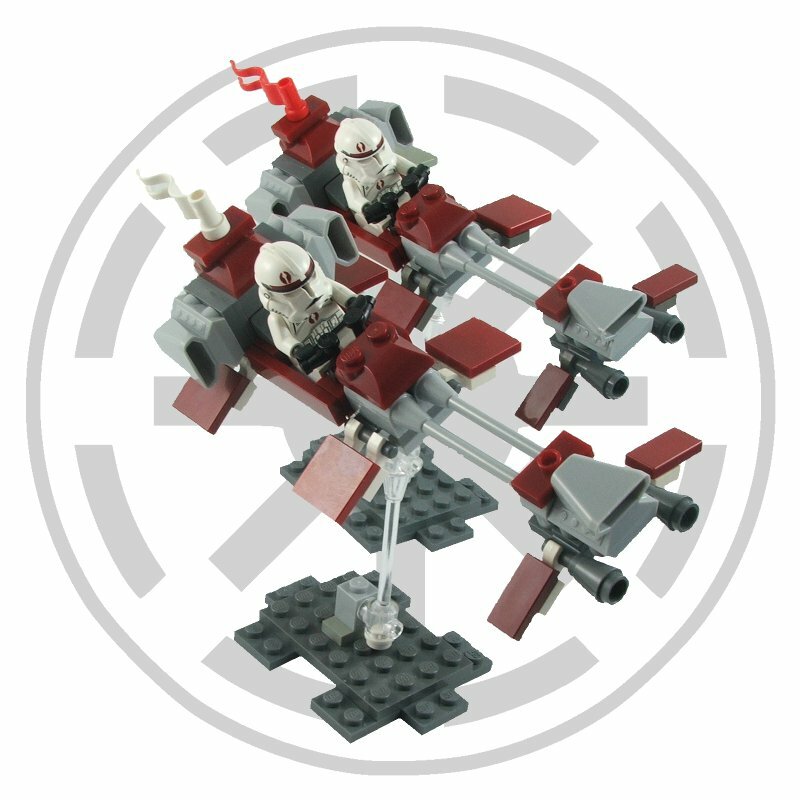 I wanted a more heavy looking build to indicate the speeders are designed less for scouting and reconnaissance and more for a support/anti-infantry role during a frontal assault battle. 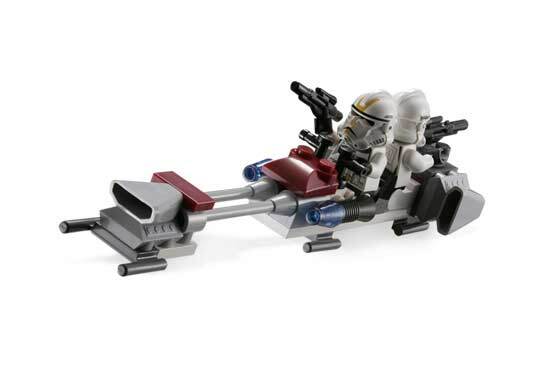 The speeders would also be a single seater but appear to be highly maneuverable. 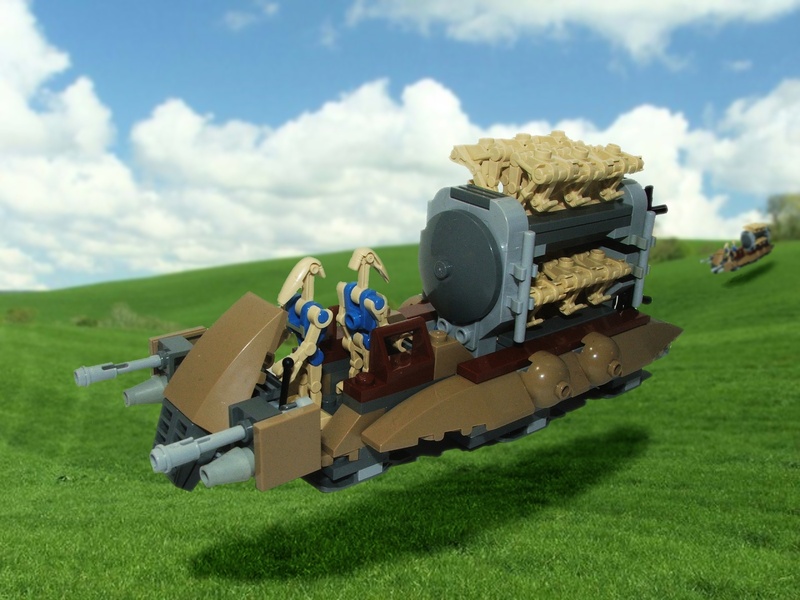 After a few hours playing around with bricks and build combinations I settled on the below to fill the role as Combat speederbike.